Plenty of great food here in Massachusetts. I have two companion pages ... one for Martha's Vineyard and another for Northampton. The links are below under the alphabetical listing of towns. As with other pages on this site, if the page doesn't render well, you are probably using Firefox. Buying Beer ... Almost any supermarket or convenience store. Liberal hours, but locked down on Sunday mornings. Buying Wine ... At any liquor store during regular hours (roughly M-Sat) from whatever time the open to 10 or 11pm, depending on the store. You can buy wine at the supermarket ... but oddly enough only at two of each brand of the supermarket in the state. In other words, if Supermarket (or, warehouse store has more than two locations, chances are you can't but wine at yours.) AND, this was upheld by the citizens of Mass in a referendum last year. Liquor ... From any liquor store, from bright and early in the morning, if the store so chooses, to at least 10pm and sometimes 11 on weekdays and somewhat truncated hours on Sunday ... figure Noon to 8PM on Sundays. I've been going to The Pub since 1970-something. The classics last for good reason ... the Pub Burger I ordered then is the same today. Kudos to Gerry Jolly, the owner, for running a place that is consistent. 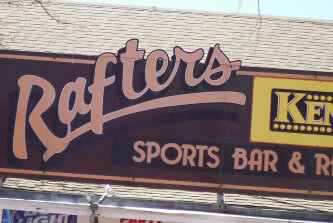 Here is your sports bar done right. Not the widest menu, but everything that comes from the kitchen is solid, sports bar fare. Plenty of TVs, a pool table, games, lotto, keno and other distractions. They pour a terrific Guinness. 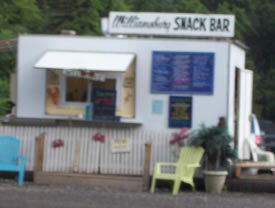 Here is a roadside fruit stand that grew up to become a very viable semi-gourmet market -- in the middle of nowhere. I suggest: the marinated beef tips, corn (in season), the stuffed clams, and more. 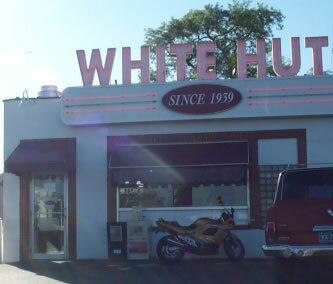 There is a little restaurant that is known especially for their apple cider doughnuts. 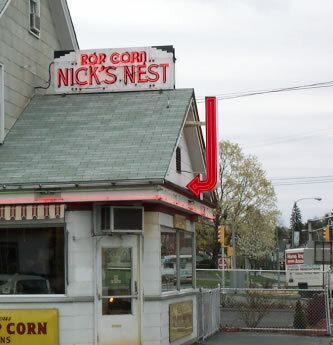 However, in my opinion, the epicenter of New England corn is down the road in Southwick, MA. I have never had better corn, than early season "Butter and Sugar" corn from Southwick. 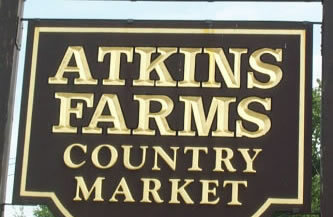 Downside: Mr. Atkins ran the stand when the apple orchards surrounded the place. Now, there are condos surrounding the place. Condos, named after the orchards they obliterated. Pho ... There isn't much pho around here. One on Main Street is okay (a little salty last time I was there). Black Sheep ... A popular deli. Best coffee in town. H&H Bagels from NYC. Antonio's ... "Pretty" good pizza by the slice. Amherst Chinese ... Some of the best I've had anywhere. They grow their own stuff when the can. Paradise of India ... Across the street from Amherst Chinese. Very good. I went some miles out of my way for my first-ever experience at Kelly's. I'd been doing business for some weeks in the area and had happened up on more than one of the aforementioned places that advertise roast beef. None were disappointing. Some were good. I am a steadfast enjoyer of the horseradish approach with lettuce, tomatoes and the works. My visit to Nick's was reminiscent of the day I drove 100 miles to try a beef on wick in Buffalo at Schwabl's, where they informed me that "no" they didn't have any rare beef because they were just staring on a new roast and "no" they wouldn't start on in the middle ... "I guess you could come back in a few hours" ... we choked down our sandwiches ... C+ ... lesson: learned. Anyhow at Nick's I didn't think to inquire, or specify thinking the 20 or so people in line before me must know a good thing. I'd didn't specify rare. It wasn't. And who was I to complain. I slopped it up with as much sauce as I could justify. 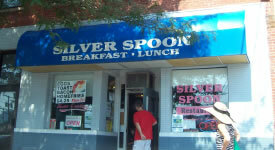 Here is a place in the middle of tourist-ville that serves up basic, almost cliched, New England fare. 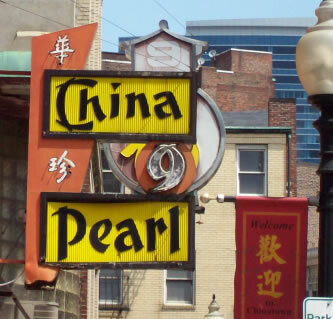 Certainly worth a visit ... after you've had your fill of Dim Sum and pizza. 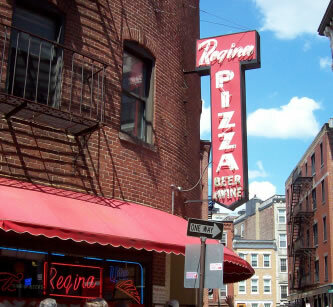 The first part of a Roadfood meet up in Boston. This upstairs restaurant was wildly busy with many International District locals. I knew I was in for a treat and was right. See the Day Two trip report link just below in the write up about pizza. 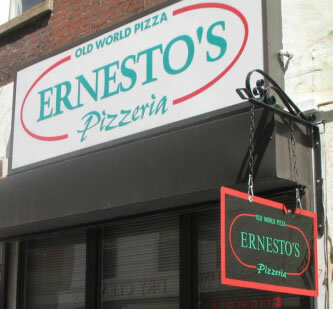 THE GREAT NORTH END PIZZA DEBATE !!! I did a Roadfood.com meet up where we compared pizza from both places. 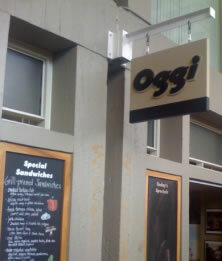 Jennifer hasn't submitted her text yet ... but, she brought some Oggi Pizza home. The bagel-like, yet light, crust was superb. Mixed with delicate toppings, this was a winner. 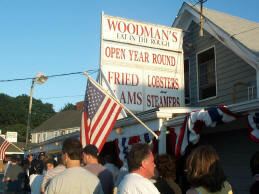 The quintessential New England lobster pound. This place is big and does it up bold ... You pick the bug, they cook it for you. Bring a hearty appetite and plenty of money. A basic down to earth breakfast and lunch spot. 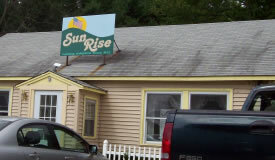 I enjoy their home made corned beef hash. Eggs Benedict on weekends. Better than any of the breakfast places in Northampton, in my opinion. Amy's Place ... A downtown pub with decent chili and a decent Guinness pour. 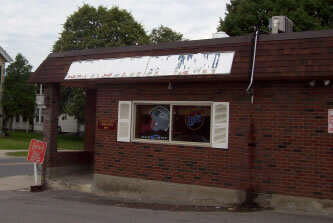 Andamo's ... by the car wash, north of town on Route 10 ... valid American and Italian. Burger place at Eastworks ... Valid dogs, chili and burgers ... try the onion strings. Apollo Grill ... Actually I never ate there, but have heard enough good to feel safe recommending it. This is one of the nicest gourmet, or at least upscale, grocery stores. The Pittsfield outpost looks even bigger. Not so much in Stockbridge as in Great Barrington (in a neighborhood called Housatonic). No so much a restaurant as it a music hall. Not so much a music hall as a museum. Not so much a museum as a shrine. The Guthrie Center is all of the above. 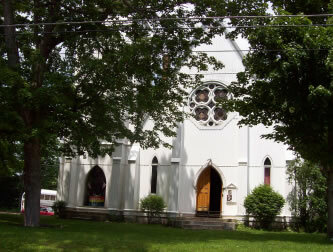 It is the actual "Alice's Restaurant" church from the song. There is a lot of space downstairs where the pews used to be ... and there is a picture of the sign at the dump from the fateful thanksgiving. It probably won't be open, but it is worth taking a picture of the outside. Route 7 Grill ... 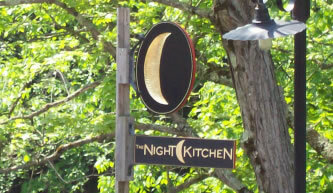 I have yet to eat here, but I hear they do a nice job with fresh, local ingredients. A hole in the wall, tucked into a nondescript group of commercial buildings and motels. Frankly, I think the breakfast there is better than any of the more popular places in Northampton. 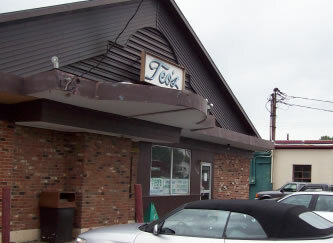 Off a side street off Route 9, Stella's is a viable source for Polish food. Look for the colorful sign near the Gibbs gas station. 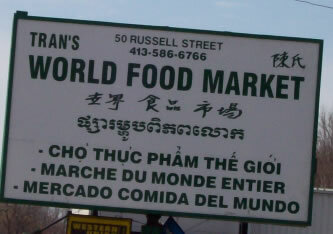 A terrific Asian grocery store. You are not going to find a great pho restaurant around here ... ask them for some advice and you can brew up a pretty good batch at home. I believe there are new owners, who seem to be sprucing up the place nicely. I've heard conflicting reports on food/service under new management. 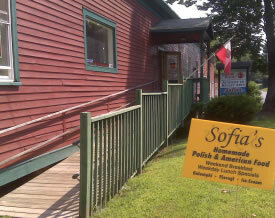 Kind of a soup/salad/sandwich place in the "center" of Hadley. 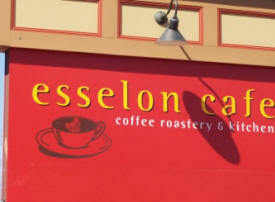 They do roast their own coffee and the food is very good. Not a place to go if you are in a hurry. Mi Teirra ... ABout the best Mexican around. I have had only a little from there and all is good. 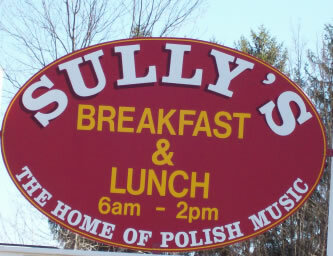 Very good home cooking in an out of the way spot just off I-91. Here is a classic Roadside joint ... They've been around since the 1700's. Very simple, steamed dogs, served in some sort of a orange-ish oil on simple Wonder Bread buns. They are the champion of this style of dog. Note to Nick's Nest: The only available size of your terrific onion rings is too much for one person. I've decided not to order them any more as I waste more than I eat. New owners have spruced up the place and, in a rare happenstance, IMPROVED this institution. It had started to go downhill, as depicted here in this older picture. ***** Fernandez Family Restaurant ... Very good Puerto Rican fare in run down, depressing, downtown Holyoke. A SPECIAL PAGE DEVOTED ONLY TO THE VINEYARD ... Not updated, out of date, but there is some info. NEW: Observations from esteemed guest columnist, Gary! Two restaurants in a peaceful setting along the river in the middle-of-nowhere town. One is an informal cafe nestled into a bookstore and the other features more formal eating in the evening. A working class tavern with a great following for what I call Troy-style Dogs. When you have legions of loyal customers lining up for your signature dogs, there is no need to fix the front of the place up ... people will look past a crumbling facade for a good cheap lunch. They are kind of the White Castle of hot dogs ... you can probably order six -- with a Genny Cream. I guess when you've got legions of loyal customers who start rushing the place at 11 in the morning, keeping your sign readable isn't that big of a priority ... yet, it is a tiny bit more upscale than Teo's (above) inside. Same style dogs. I think, of the two, I prefer Teo's but only for two tiny little reasons, Teo's serves Genny Cream and, for some reason, the onions they sprinkle on the top don't fall off during the eating. 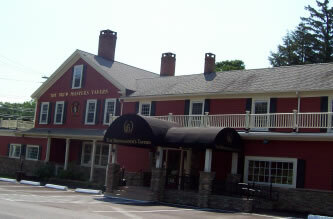 The Ranch in North Adams is a little newer, less run down, and the food is just as good in my opinion. Like being at the diner in Mayberry. They've been advertising new owners, great burgers, etc. We had a (huge) Ceaser salad and a burger, both were quite good. The burger was nice and fresh, just not the most delicious I've ever had. :( I was bummed that they were adverting a burger and a beer at the bar for $6 and there was no mention of it on the special board or on the menu. I'll still probably be back if I am in the area. 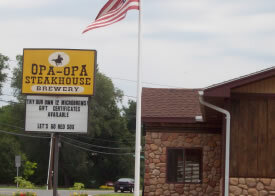 Here is a well respected steak house and brewery nestled just between Easthampton and Westfield. I've honestly only had lunch, but I can tell they do a nice job. I tend to enjoy a Guinness with lunch, but Opa's stout packs too much of a punch ... a problem not uncommon at brew pubs. Plus, they are related to Brewmaster Taven in Williamburg. German influenced solid, yet somewhat basic fare. Happily there is a parking lot half a block away, so you don't have to take any chances walking the despicable streets of downtown Springfield. Superb Italian specialties served up at a very busy deli. There is a small table to eat what you've ordered, but you are better off taking is someplace more relaxed to enjoy. A bit more rustic than Frigo's (see below) ... Mom & Rico's still creates lots of good salads and thing you can take home to produce a nice dinner. The is usually a buffet set up out back with worthwhile item to eat in or take out. A second restaurant in Williamsburg is getting rave reviews. Pretty much the only BBQ in these parts. They have the decor down. Watching them reheat my ribs with some combo of boiling and grilling made my heart sink. I was not as dissapointed as I expected to be ... in the end, I actually enjoyed my meal. The excellent side dish bar, might have helped save the day. Here is a place that hasn't changed in all the time I've been coming here. One flat top a counter and a few friendly people combine to turn out tremendous burgers, breakfast sandwiches and hot dogs. Everything is enhanced by the tremendous fried onions. Worth a stop. I' haven't been there enough to give it a worthy review. As they are tied into the emerging Opa Opa empire, I feel good listing them. Tucked in the parking lot of a nursery. Viable snack bar food. 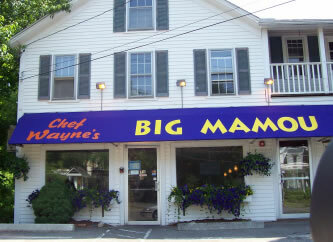 Hopefully, they will have lobster rolls when you stop in, at way under $10, they are a very good value. I recall they had quite a bit of good seafood options. 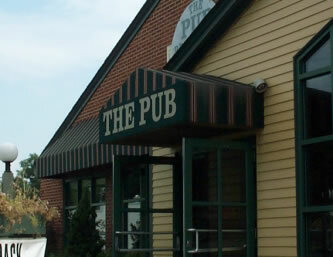 An outpost of the original in Springfield. This place is so popular, it get's a listing of its own. Cheers to Chef Wayne for bringing a second branch out into the hill country. AGAWAM: The Titanic Museum ... LINK ... I've never been there. I'm told it is in the back of a jewelry store. 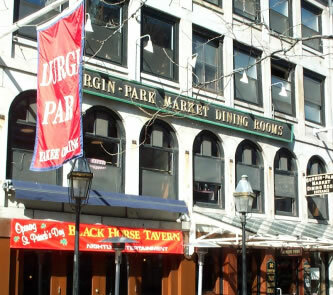 BOSTON: Walking Tours ... LINK ... I am not a big fan of these sort of things in most cities. In Boston it is worthwhile. SPRINGFIELD: Dr. Seuss Memorial ... LINK ... I've never been, but have heard good things.